Description: I have to admit I like to use pinwheels in my designs. They remind me of the pinwheels we had on sticks and held up into the wind as children. 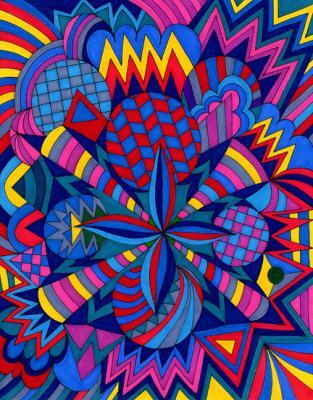 In this design the pinwheel is in the center with multiple colors and shapes surrounding it, creating a fun atmosphere, somewhat like the blowing wind you felt on your face as a child. You can almost feel the wind on your face and see the pinwheel moving! As you run with the pinwheel held high, enjoy the wonders of your Creator!